The thoughts and prayers of everyone at MCFC are with those affected following the horrifying events of last night. Facebook launched its' safety check in so that people can self-report their status to friends or loved ones that use the social network. Please note the Red Cafe, Museum, stadium tours and Megastore at Old Trafford will all be closed today. The French government has given instructions to organisers of sporting and cultural events in the country on security measures after the Manchester attack, French Interior Minister Gerard Collomb said. "We have given a certain number of instructions to the organisers of sporting and cultural events to make sure our citizens are best protected everywhere," Collomb said in a televised statement. He added that a government note would be circulated to police chiefs on this measure. President Emmanuel Macron will speak to British Prime Minister Theresa May later on Tuesday, a source in the president's office said. ICYMI: Theresa May makes a statement following the Manchester attack. 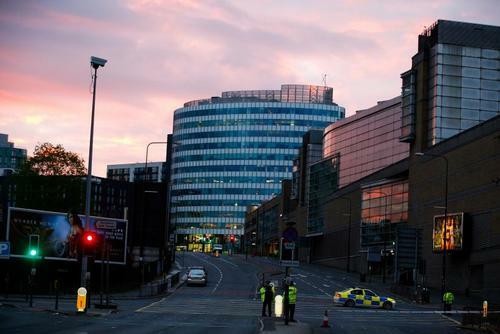 Britain's terrorism reinsurance fund Pool Re will work with its members to resolve any claim arising from the suicide bomb attack in Manchester, chief executive Julian Enoizi said on Tuesday. "Our thoughts are with all those affected by last night’s horrific attack in Manchester. Pool Re will work with its members in resolving any claim arising from the attack as quickly as possible," Enoizi said in an emailed response to Reuters. Pool Re, set up in 1993, acts as a backstop to insurers paying out claims on property damage and business interruption. It is financed by the insurance industry with government backing, and pay outs depend on the British government deeming an attack to be terror-related. 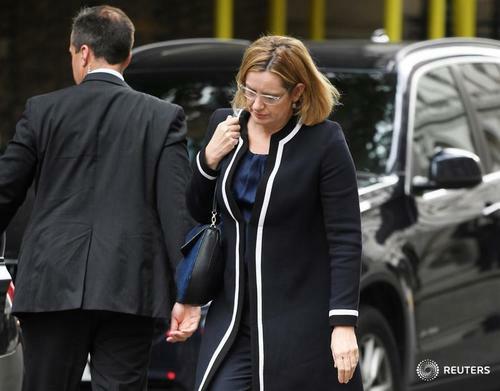 British Prime Minister Theresa May said on Tuesday police and security services knew the identity of a suspected suicide bomber who killed 22 people, many of them children, at a concert in Manchester. 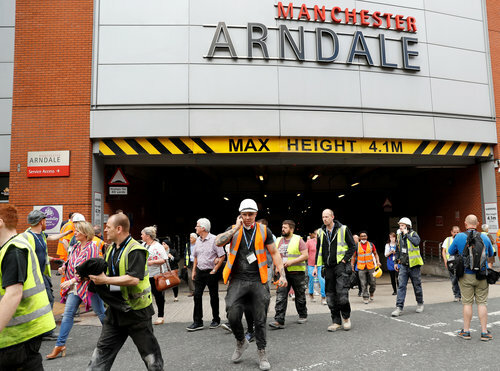 Manchester's Arndale shopping center evacuated: Reuters photographer. From Amsterdam with love to Manchester. Our thoughts are with the victims and the loved ones of those affected. 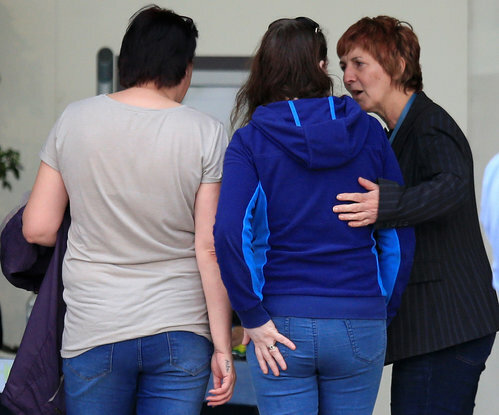 Manchester's Arndale shopping centre evacuated, witnesses heard "big bang"
A shopping centre in Manchester, England, was evacuated and witnesses said they heard a "big bang" on Tuesday, just hours after a suicide bomber killed 22 people and injured 59 in the same area of the city. Scores of people ran away from the centre, a Reuters witness said. "There are people coming out holding hands," a Reuters photographer said. 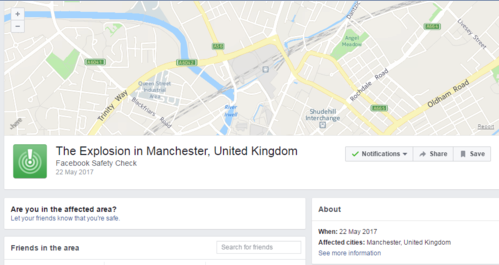 Great Manchester Police would not comment when contacted for Reuters. 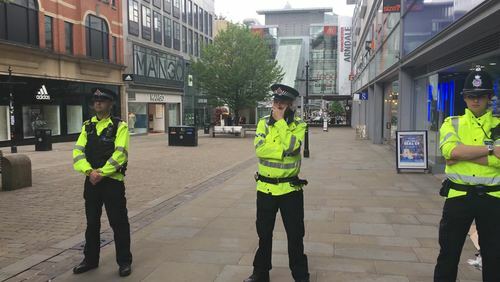 Police in the northern English city of Manchester are investigating an incident at the Arndale shopping centre in the centre of the city, an officer at the scene said. 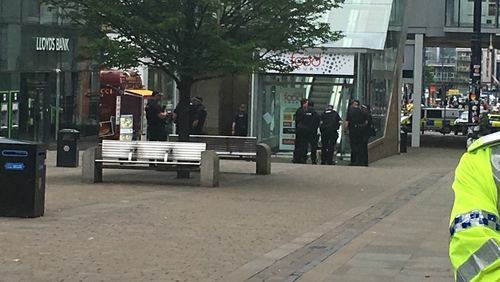 Police cordon off Arndale shopping centre in Manchester following an incident. Images - Michael Holden. Reuters UKDesperate parents and friends posted heart-wrenching messages and pictures on social media in the search for their loved ones on Tuesday after a suicide bomber killed 22 people and injured dozens at a British concert by U.S. singer Ariana Grande.